Alyson Hannigan (born 24 March 1974 in Washington, D.C.), is an American actress. She starred in the American Pie movie saga, and starred in the TV series Buffy the Vampire Slayer and How I Met Your Mother. 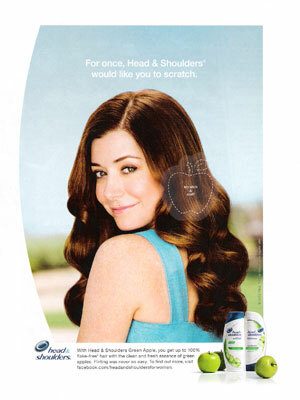 Alyson Hannigan signed with Procter & Gamble for Head & Shoulders campaign in July 2011.